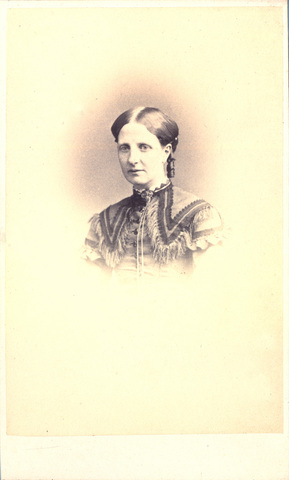 Walker, Isabel 1870 , Photograph of Isabel Walker (nee Swift), Tasmania 1870 , University of Tasmania Library Special and Rare Materials Collection, Australia. 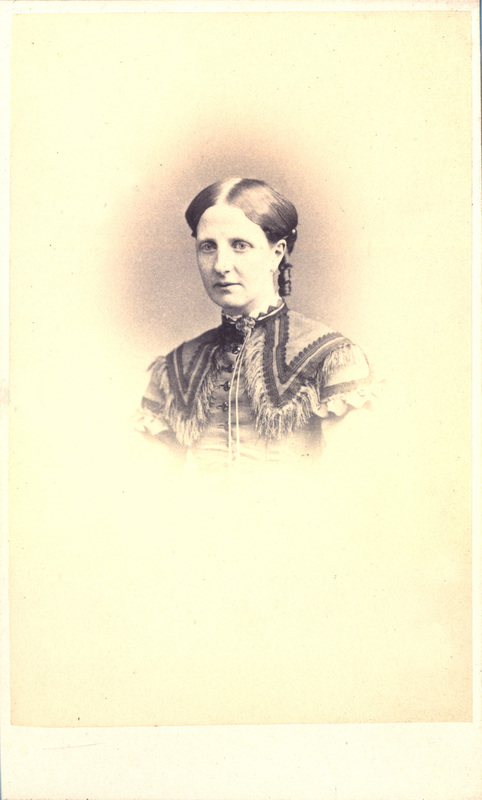 Photograph of Isabel Walker (nee Swift) wife of George Benson Walker. 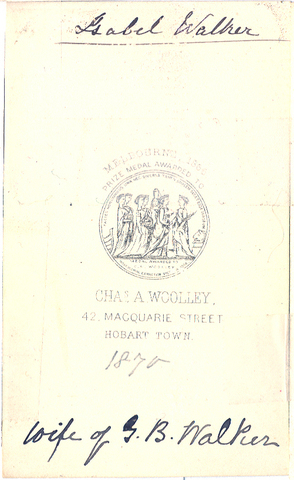 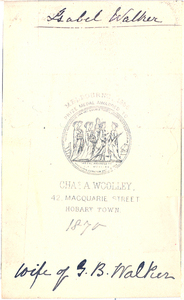 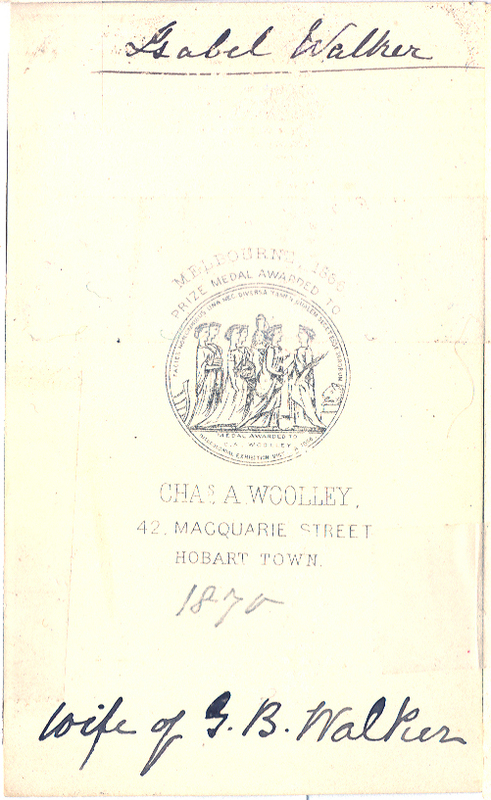 The photographer was Charles Alfred Woolley who had a studio in Macquarie Street, Hobart, c.1860-1870.